While Pre-Prep is not as big of a change as a primary school will be, these children are transitioning from being toddlers to pre-schoolers, which can be scary and confusing. Our Pre-Prep educator is highly qualified and extremely passionate. She has an amazing teaching philosophy and a great school-readiness program in place. Our goal with the Pre-Prep rooms is to prepare children for “big school”. We equip them with the skills they will need, like numeracy, literacy, self-help, and fine motor skills. We have a structure in place, but allow children to gravitate to activities they are naturally interested in. From using scissors and pencils to getting a drink of water or tissue according to their own needs, we make sure the children are ready and feel confident transitioning into primary school. At Strathpine Early Learning Centre, we provide nutritious meals which are prepared daily in the centre, so you don’t have to worry about packing lunch every day. Our centre also has an amazing outdoor environment which has been specifically designed to inspire children's learning through play and featuring many different areas for the children to enjoy. 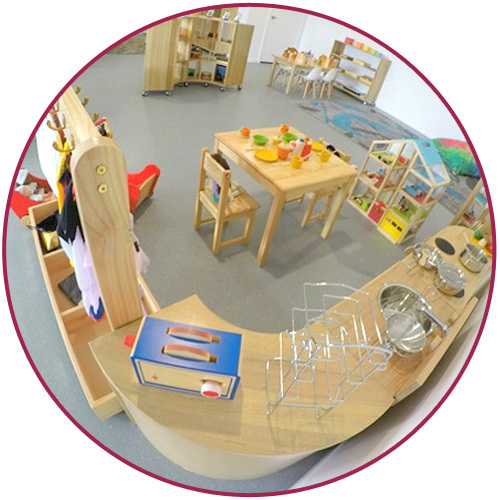 Our Pre-Prep room can accommodate 22 children on our busiest days.